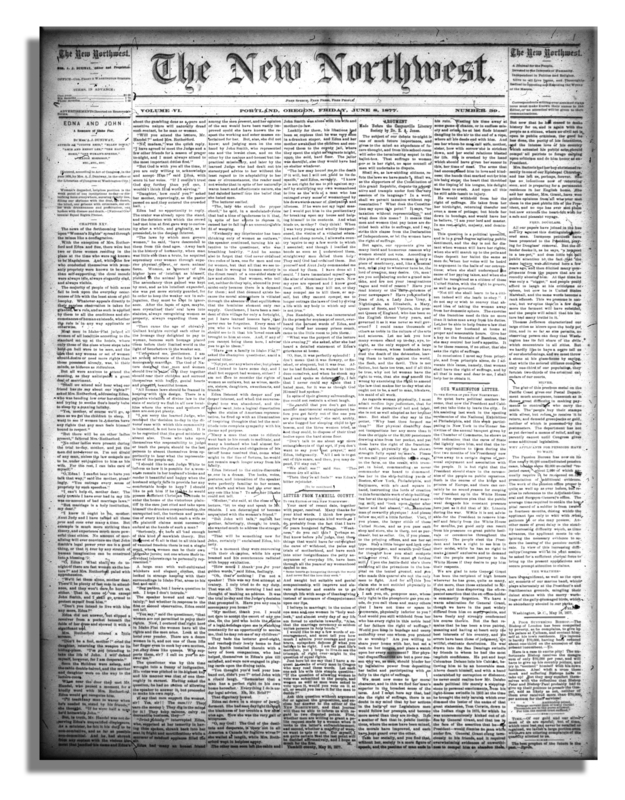 Home › Announcements › The New Northwest added to Historic Oregon Newspapers! The New Northwest added to Historic Oregon Newspapers! The Oregon Digital Newspaper Program is excited to announce the addition of Portland’s historic suffragist newspaper The New Northwest to our free online collection of digitized and keyword-searchable content at Historic Oregon Newspapers! For sixteen years, between 1871 and 1887, The New Northwest blazed a progressive and iconoclastic trail, bringing much-needed attention to controversial issues such as suffrage, worker’s rights, temperance, racial inequality, civil liberties, immigration, and human rights. The paper advocated tirelessly for the equal rights of American Indians and Chinese immigrants even as the general press remained openly hostile to such causes. Most famously, the paper was instrumental in agitating for the nascent women’s suffrage movement in the Pacific Northwest. In addition to its influential and highly political journalistic content, The New Northwest also served as a significant publisher of quality literary content. Poems, serialized fiction, and literary non-fiction reflecting the newspaper’s progressive political stance were published alongside regional and national news. Following a change in ownership in 1887, the paper continued for another two years as a purely literary journal. 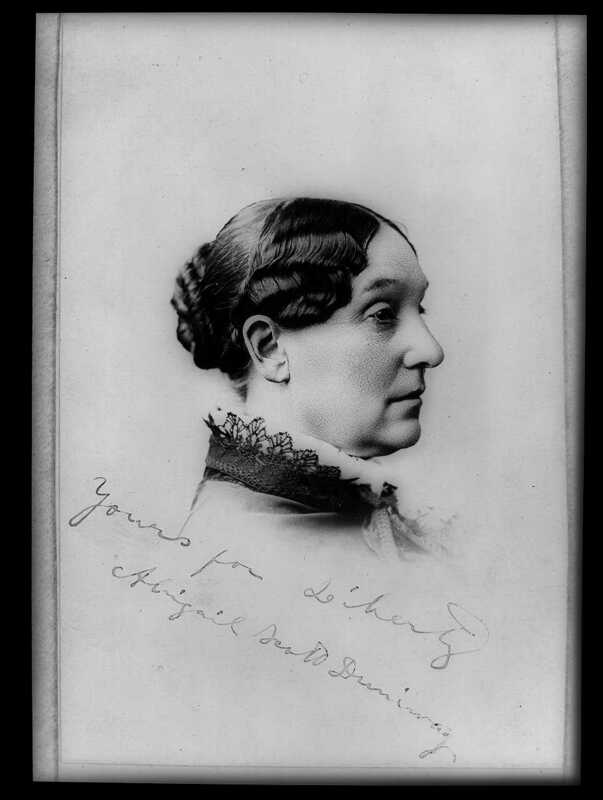 Though women’s suffrage in Oregon was not to become a reality during the run of The New Northwest, Duniway would continue to fight tirelessly for the cause. In 1912, following a lifetime of struggle, Duniway was asked by Governor Oswald West to author and sign the Oregon Proclamation of Equal Suffrage. This historic and hard-won victory was sealed when Duniway registered, at the age of 79, as the first female voter in Multnomah County. Abigail Scott Duniway. Photo courtesy of the Library of Congress. ‹ Historic Oregon Newspapers Offically Launched! Great Scott! This is good news! 2 Pings/Trackbacks for "The New Northwest added to Historic Oregon Newspapers!"